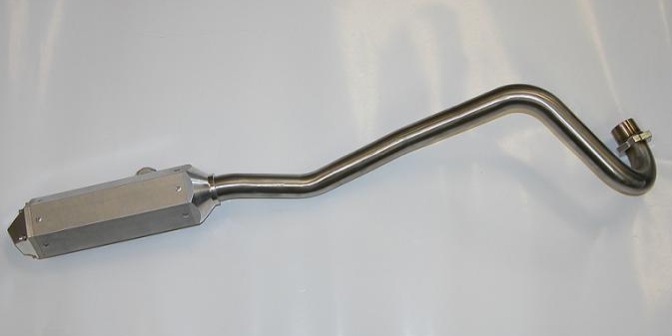 Stainless Steel Big bore head pipe. Spark arrestor. Hexagon silencer design for a new fresh look. 100% Made in the U.S.A. Best pipe for your money!